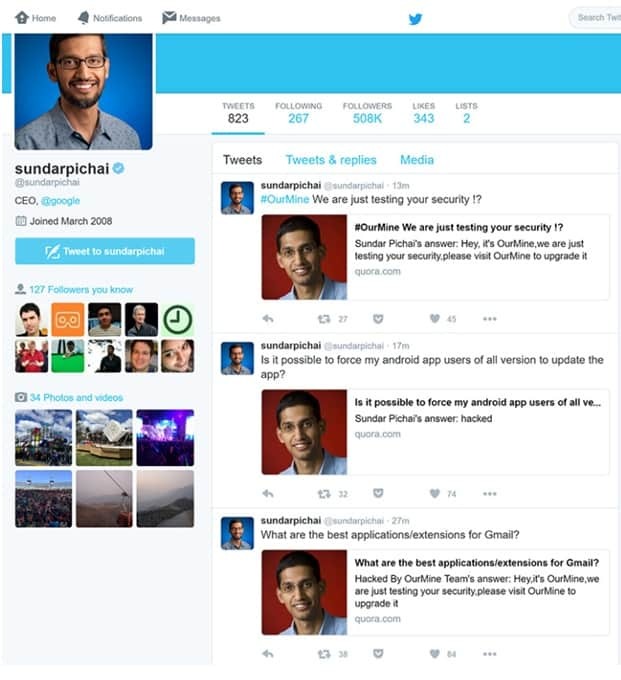 Sundar Pichai’s Quora account hacked! The gang has been posting messages on Quora through Pichai’s account and as it’s connected to his Twitter account, OurMine was able to publicize their hack to all 508,000 of his followers. Though the tweets have now been removed, the screenshot is available with us. 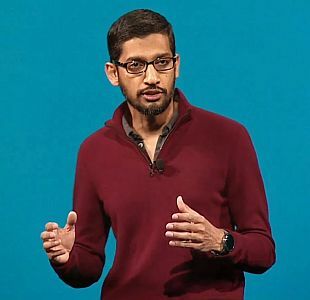 The group also noted that it managed to break into Pichai’s account by exploiting a vulnerability in Quora’s platform – one that it claims to have reported to the company, with no response.